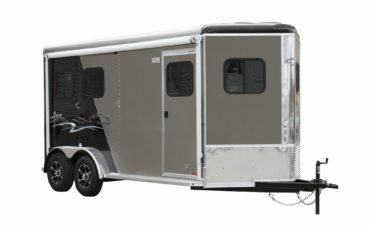 The Fury is an affordable alternative; with a new look for those buyers that demand a quality product at a very affordable price. 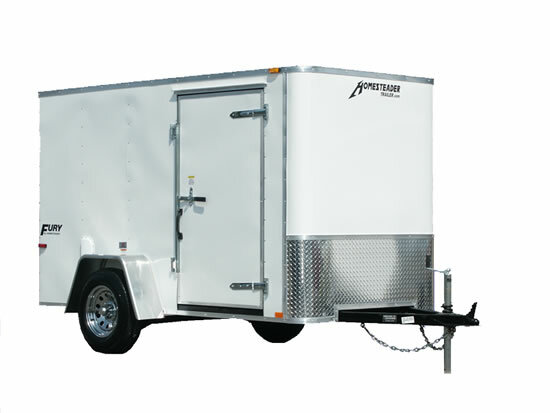 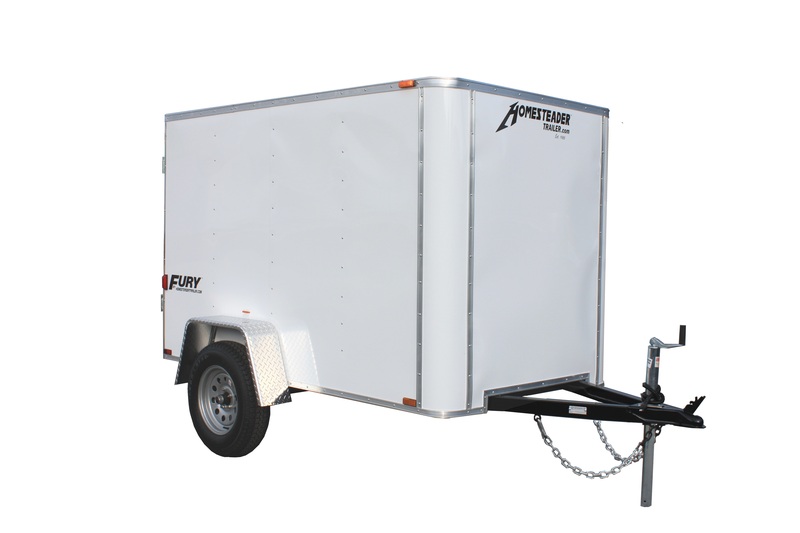 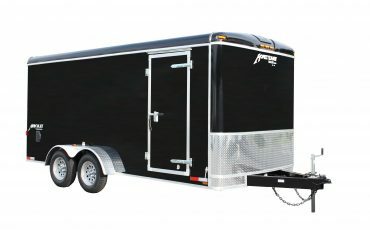 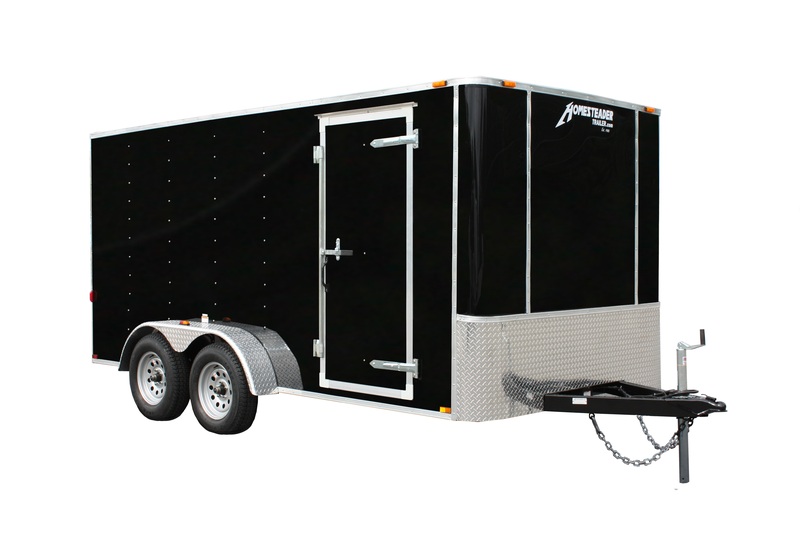 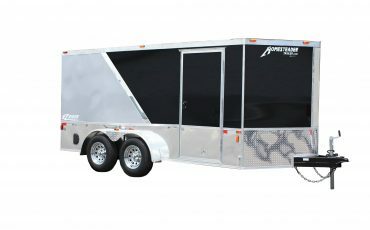 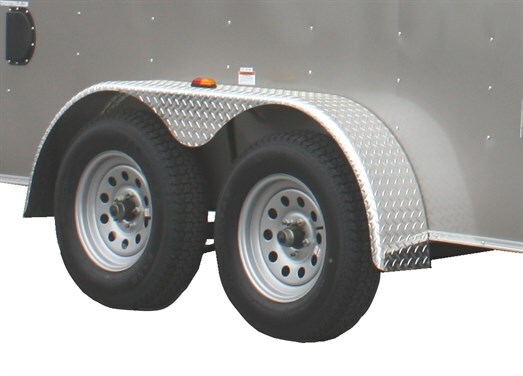 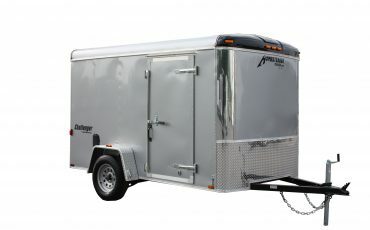 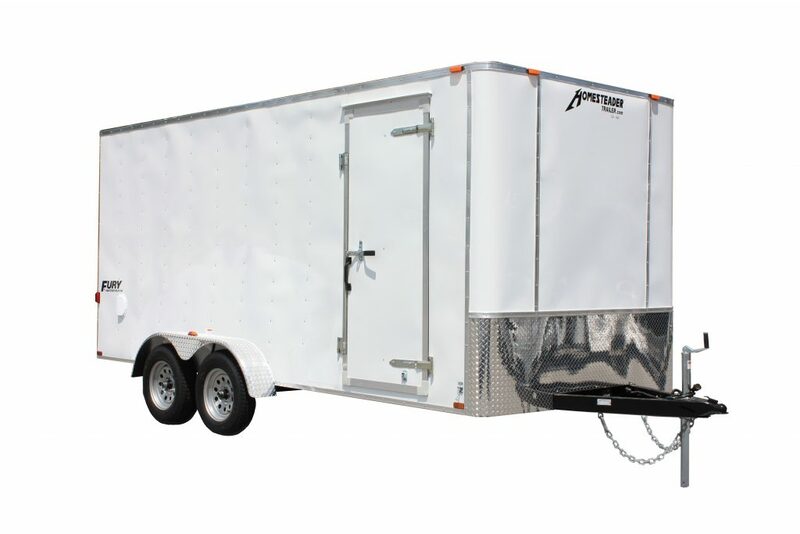 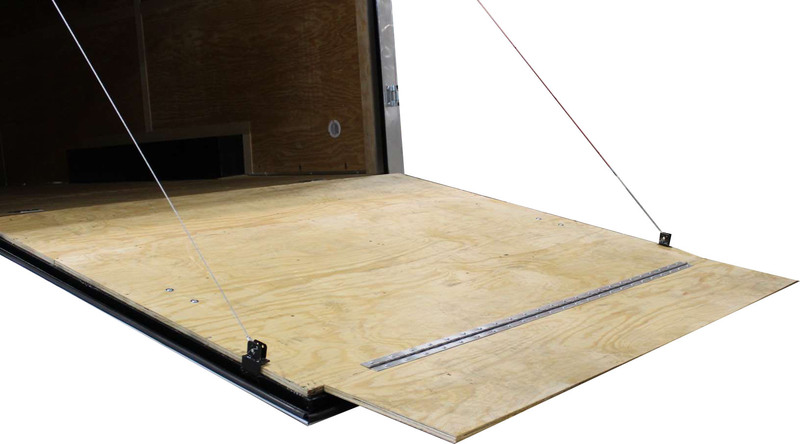 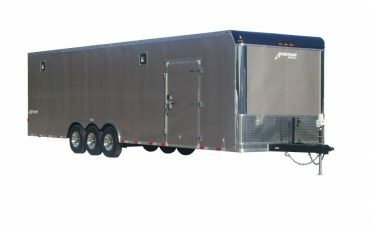 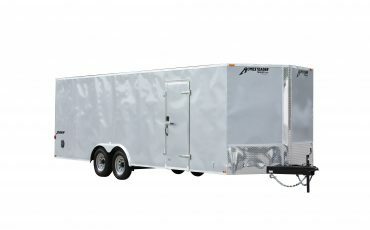 The Fury enclosed trailer is packed with standard features that make it a very desirable unit. 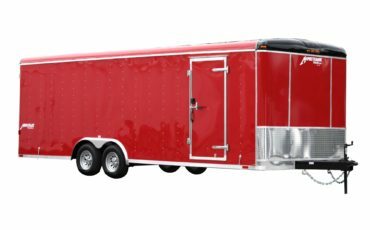 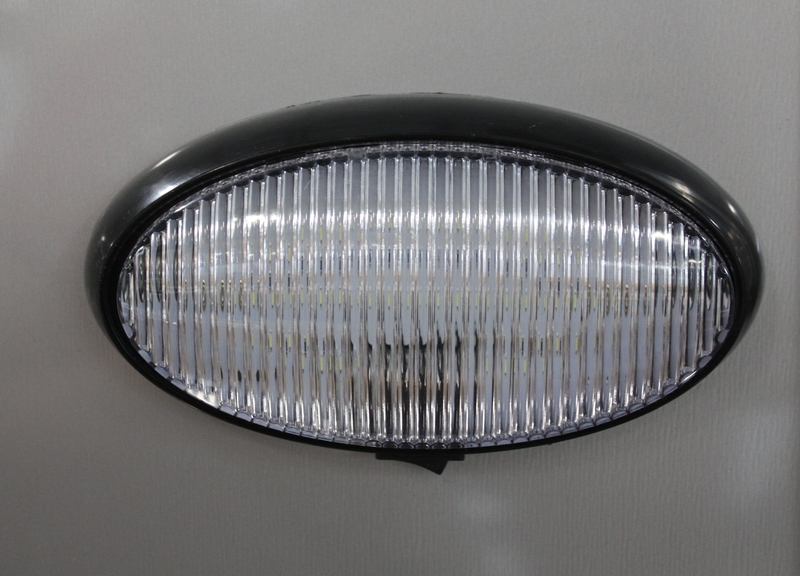 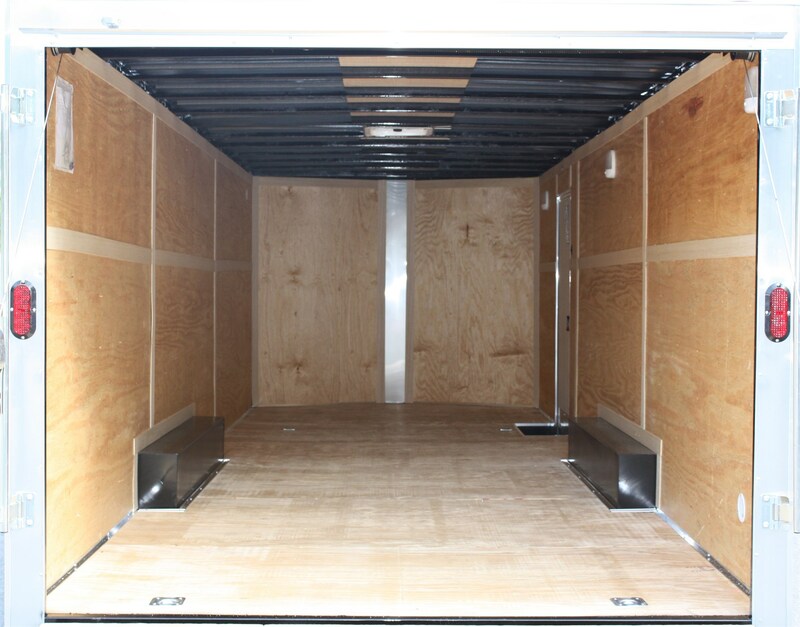 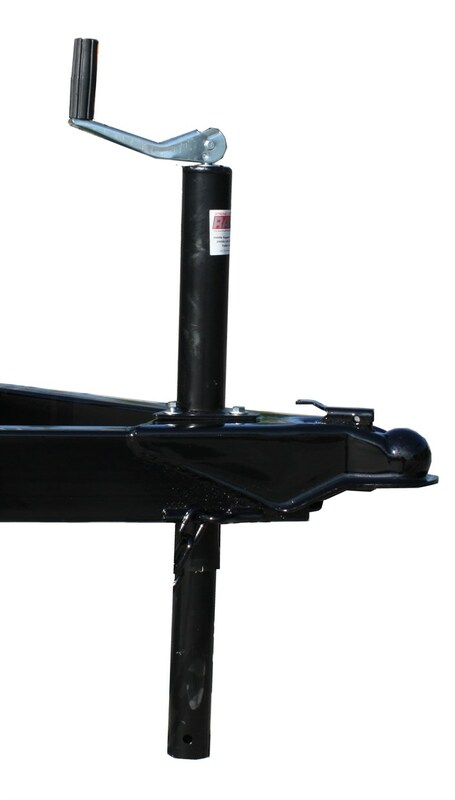 Standard features include but are not limited to: All steel frame construction, trailer rated radial tires, Frame construction 24″ on center, 3/8″ Plywood interior walls, 3/4″ Exterior grade plywood floor, Flat roof, Radius front corners, and LED taillights to name a few. 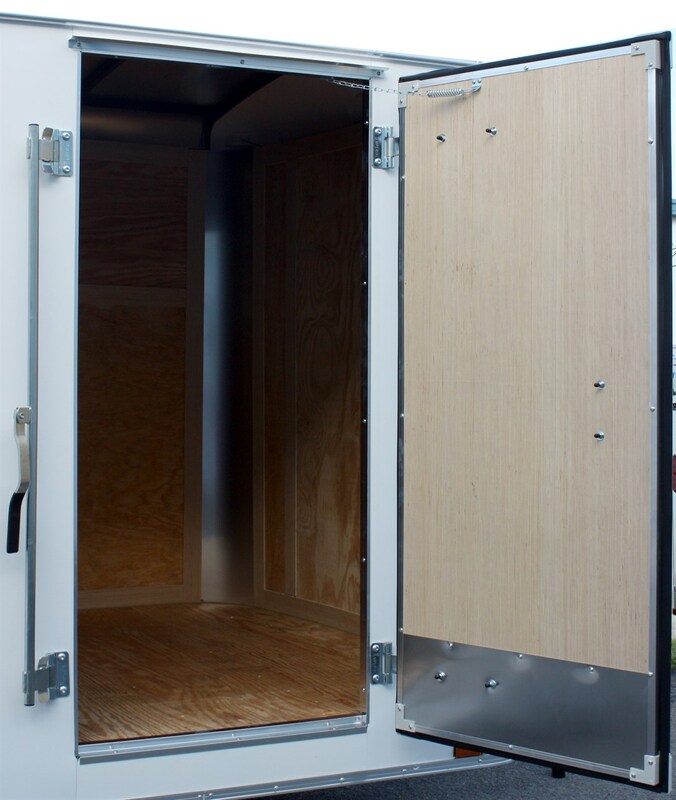 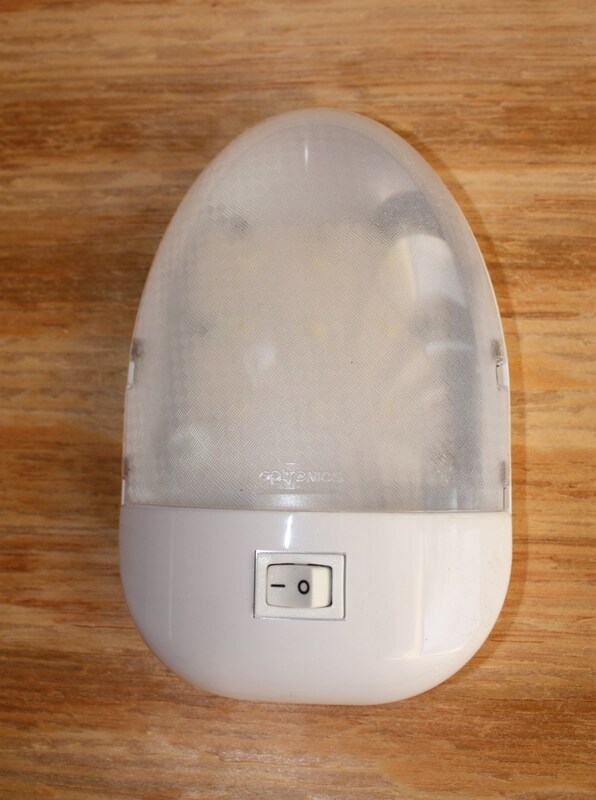 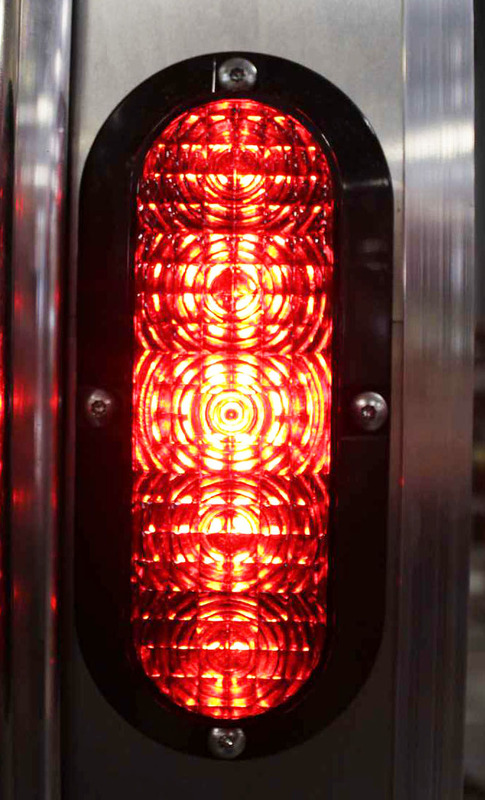 There are many options available, allowing you to design this exciting series to meet your specific needs. 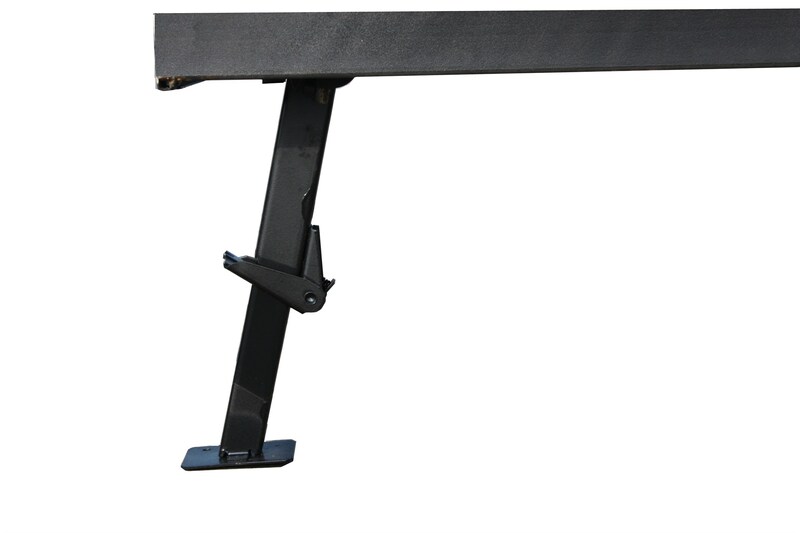 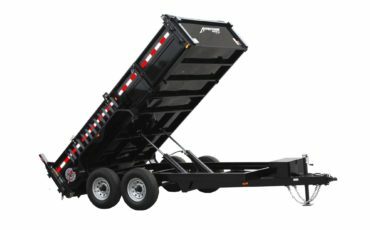 Options include but are not limited to: rear ramp door, side doors, roof vent, aluminum tread plate stoneguard and six colors. 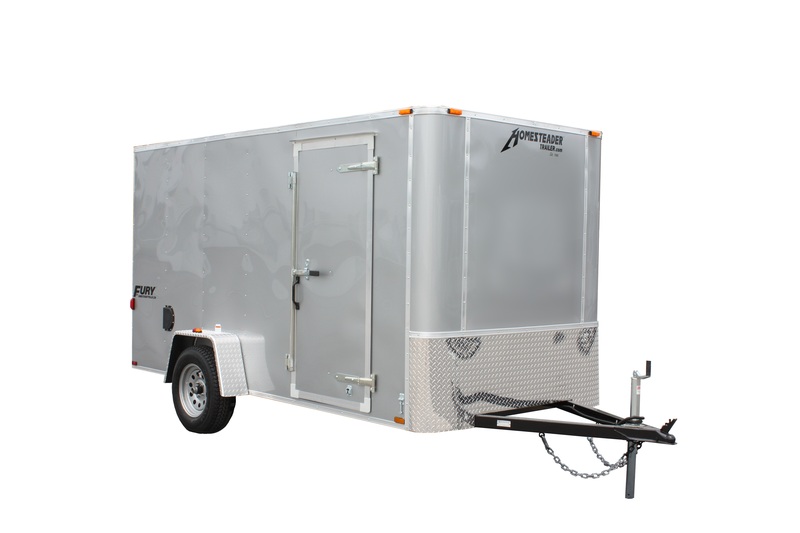 If an affordable, quality product with a new look is what you are looking for, the Fury enclosed cargo trailer is for you! 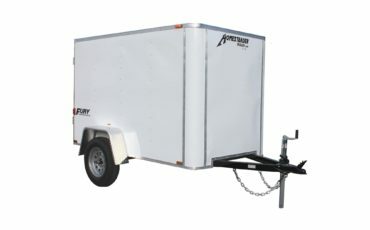 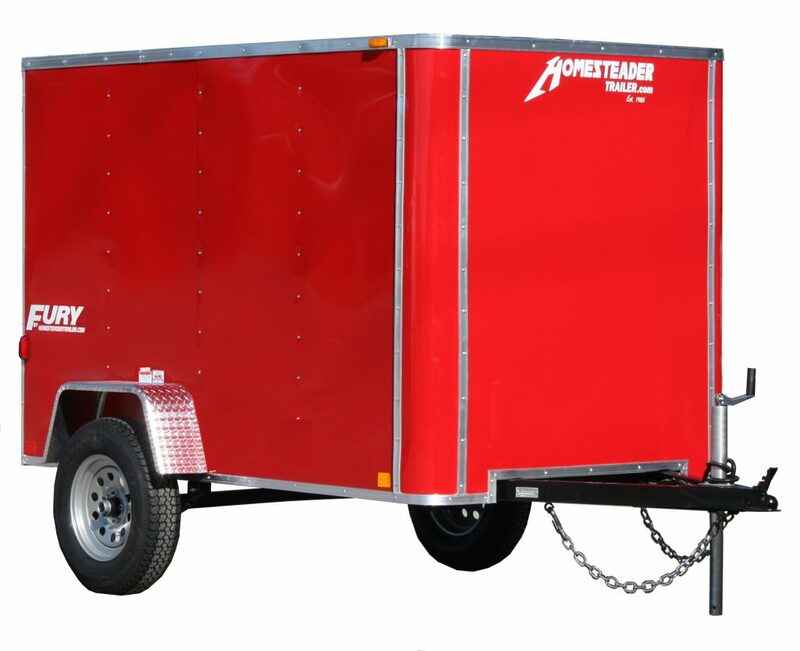 For more information or to purchase a Fury enclosed cargo trailers visit your nearest authorized Homesteader Dealer.